We love books at The Feminine Gift. There are so many that have encouraged, inspired, instructed, reassured, and guided us in our apostolate. 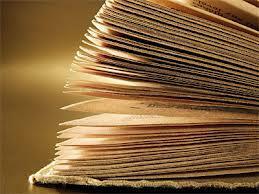 The 'Inspiration' page has a list of the books that have been particularly meaningful to us. When our number of followers reached 40, we thought, "What better way to celebrate than to share one of our favourite books?" We asked you to write in to tell us about your patron saint... and you did! 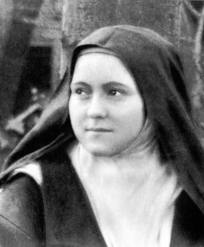 My patron saint is St. Therese of Lisieux. I love the beautiful simplicity of her example and faith. One time when I was feeling lonely, I thought how nice it would be to have a sister. Immediately I thought of St. Therese. I asked her if she would be my spiritual sister, and if she would, would she send me a sign? That evening at the veneration of the cross on Good Friday, I went up to adore and kiss the cross. When I returned to my pew, I glanced at the cross again, and saw at its foot, a lovely rose. What joy filled my heart! I have a sister! Thank you for sharing your saint with us, Doreen. It was a beautiful way to meet you. thefemininegift(at)gmail(dot)com so we can arrange delivery of the wonderful Privilege of being a woman by Alive von Hildebrand. Oh thank you sooo much! I will write to you right away!